Grooming is not only good for your pets, it's a wonderful bonding moment between you and your animal friend. Cats groom each other to show affection, and dogs just love attention from you! At Doggyfriend, we have a large selection of animal grooming supplies to address everything from a simple bath and brushing, to an in-depth grooming session. We have dog and cat brushes, grooming kits for all types of fur, hair trimmers, tangle removers, and more. Grooming controls hair and reduces shedding, and long hair needs extra attention because it knots easily and forms mats if left unattended. Some pets need your help grooming themselves, whether because of age and stiffness, being overweight and unable to reach the whole body, or breeds of dogs with loose folds of skin. For these pets, grooming can be a daily necessity on your part. That's why we have products that can be used every day if needed. We also have creams, sprays, and shampoos to help with odor elimination, problem skin, itching, licking prevention, and more. 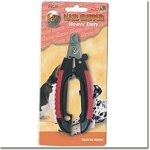 We have dental care and fresh breath products, eye and ear products, and nail clippers for dogs and cats. Remember, it's important to use the right tool to avoid painful damage to your pet's nails, so always have the proper nail clipper! You always have to be careful of what you apply to a dog or cat's fur because they lick themselves during grooming. But don't worry, at Doggyfriend we only sell safe products that will have your dog or cat looking forward to the special grooming they can only get from their human best friend— you!